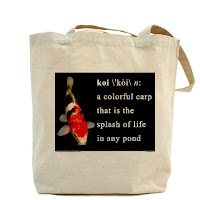 With the holiday season right around the corner, the Koi Garden Guy has put together a top 10 Koi Garden Holiday Gift List for the Koi Garden fanatic on your shopping list. 10. Solar Chinese Lanterns. Minimum three lanterns, but this is one case where you can overdo it. Unless your garden is huge, don’t use more than five. For wet climates, bring them in during the bad weather season. Remember, they are solar based, so position them where they get the sun. 9. Koi Tote Bag. Carry stuff in style. Since plastic store bags are now passe, why not save the environment while advertising a great hobby? 8. 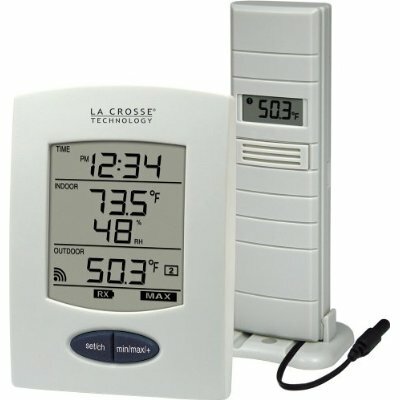 Indoor/Outdoor Weather station. This station not only tells you the correct time (probably updated by atomic Gnomes in Colorado), it also tells you temperatures. Both temperatures in your home but also the water temperature of your Koi pond. Not the air outside your window, or near the pond, but the water temperature of the pond! It does so wirelessly, so you can read it from the comfort of your living room. 7. 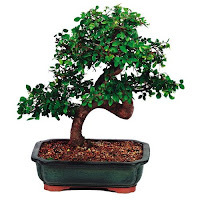 Bonsai Plant. 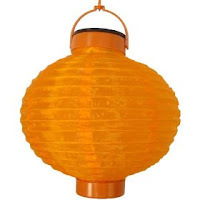 No link for this one, but you can find some at your local Japanese Garden Stores. For those people who live in harsher environments, a Bonsai plant is a great way to enjoy the Koi garden indoors during the winter. Then when the summer comes around again, you bring the Bonsai outside and place it in a shady section of the Koi Garden. Voondebaaarrr! 6. 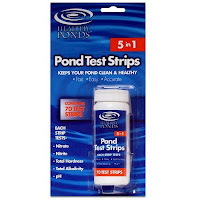 Pond Water Test Strips. I have talked about these before. 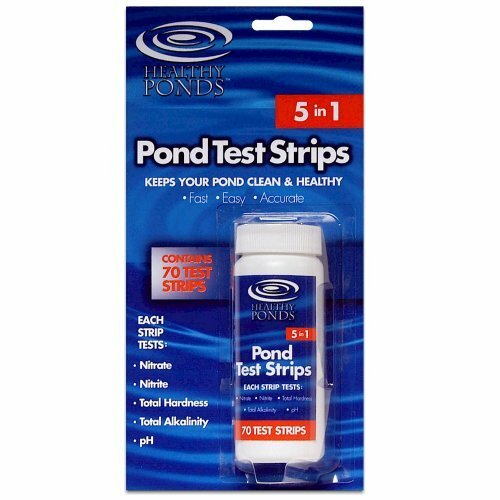 They are a great way to keep in touch with all the chemical stuff going on in your pond. No more liquid chemicals, counting drops. Dip the strip in the water and compare the colors to a standard attached to the container. Brilliant! Next week we will have the final five of Koi Garden Guy's holiday list.